THE CONSTANT COMMONER: Corinna, Corinna, Where You Been So Long? I Ain't Had No Representin' Since You Been Gone. Noem seems invulnerable in reliably red SD but Robinson may have the resume to defeat her. How she performs on the campaign trail, if she can raise enough money, and if the Democrats can and will rally around her may determine if she can mount a real challenge. Agreed on all fronts except for Noem's seeming invulnerability, Tom. I believe a lot of Republicans are having misgivings about her--not necessarily strong enough doubts to abandon her at this stage, but strong enough to pay attention to a credible challenger. We've sent plenty of Democrats to Congress in recent decades, so it isn't an impossible challenge for Corinna. Right now it's a matter of waiting to see if the substance matches up with the style. Appreciate the comment. I see Noem as vulnerable, but it will take some excitement in a candidate to defeat her. 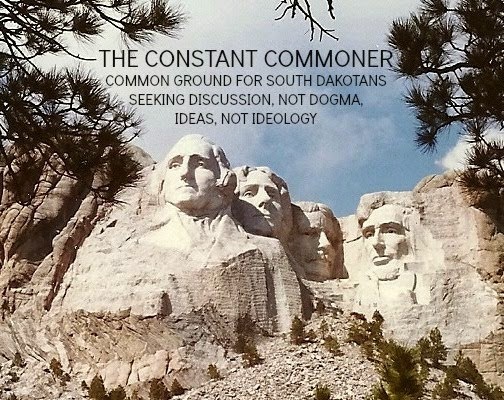 I think Robinson coming from Rapid City will understand the tourism industry and the Ellsworth issues and VA issues. Her weakness might be Agriculture, but after having met with her I think she will be a quick study. Noem having come from agriculture has been a huge disappointment. Starting with her not getting on the Ag committee. Then the various videos of her playing with her phone instead of listening. then the closed or by invitation only meetings she holds. Corrina with the additions to her team may just take off. We wish her well. Pretty much agree with you on all points, Dallis. I think many people outside the ag sector are also quite disappointed with Noem and believe that if Robinson can project competence and her ability to represent that she'll have a good shot at the seat. As I note in my post, substance has yet to emerge in Corinna's campaign, so, much as I like her, it's really wait and see at this stage. Thanks for commenting.